Anxiety can make everything seem unmanageable - from dealing with family and friends to managing schoolwork and extracurricular activities. It's been estimated that between nine and 15 million teens in the United States suffer from phobias, panic attacks, or extreme worry or anxiety. That's a lot of teens! ""My Anxious Mind"" helps teens take control of their anxious feelings by providing cognitive - behavioral strategies to tackle anxiety head-on and to feel more confident and empowered in the process. 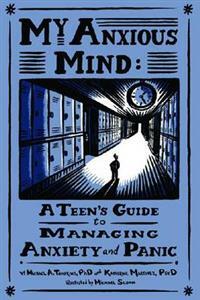 ""My Anxious Mind"" also offers ways for teens with anxiety to improve their inter-personal skills, whether it be with friends, family, or teachers; manage stress; handle panic attacks; use diet and exercise appropriately; and decide whether medication is right for them.